Am I in the Wrong Marriage? Get the Clarity You Need to Make a Decision to Stay and Re-Commit or Lovingly Leave Your Relationship and What to do Next. There are some things we don’t discuss. There are some topics that are off-limits. There are some questions that go unanswered. This question demands attention. This question keeps whispering to us, over time getting louder and louder. It wants an answer. It wants clarity. It wants to know what’s next. It wants to understand your answers for your life and for your marriage. There is no wrong answer, except not answering. Through these teachings you will move from stuck in indecision to relationship clarity. Once you have the clarity you need, you’ll know what your next steps look like. 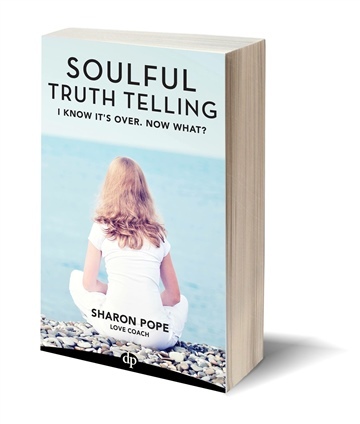 The core of this teaching and coaching is based on what I refer to as Soulful Truth Telling. Without the truth, there’s nowhere to go, and there’s nothing to work with. You cannot thrive in a bed of lies, and you cannot gain real clarity while swimming in half-truths. Rather than highlighting all of our mistakes, with Soulful Truth Telling we simply become compassionately curious about how we reached this place, how we helped create our experiences within our marriages, and what those experiences are here to teach us. Rather than blaming and focusing on our partner’s shortcomings, with Soulful Truth Telling, we gently open ourselves up to forgiveness and a deeper truth.Within this book, you will gain the insight you need to trust your answers for your life and to know what to do next. Once you learn these truths, you can’t un-learn them. You can’t go back to the way it was before. You can’t continue repeating the same destructive relationship patterns or painful experiences, because you know something you didn’t know before. Regardless of your decision about your marriage, you will move forward. Soulful Truth Telling is your doorway to clarity. Soulful Truth Telling is your path to discovering what comes next. Sharon Pope is a certified Martha Beck Master Life Coach, six-time international best-selling author, and speaker. She is committed to helping women end the struggle in their most important and intimate relationships, knowing whether they should stay or go in a painful marriage and healing from heartbreak when a relationship ends. · Why is Love so Hard to Find?, for women who want a soulful, deep, and lasting love in their lives. 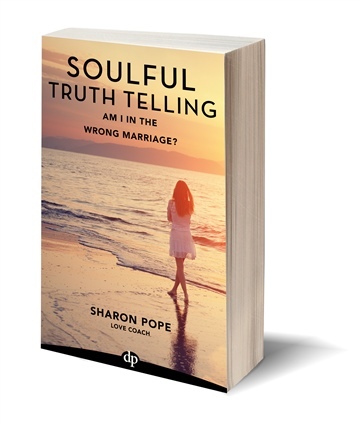 · Am I in the Wrong Marriage?, for women who are trying to determine if they should stay and recommit to their marriage or lovingly release it. 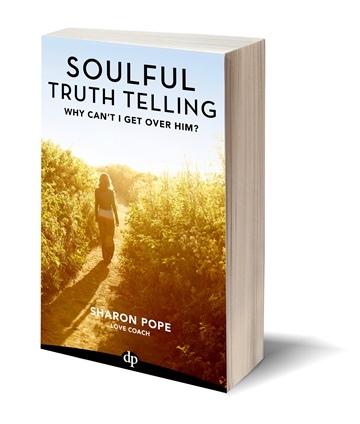 · Why Can’t I Get Over Him?, for women struggling with moving on after a painful breakup or divorce. · I Know It’s Over. Now What?, for women who know their marriage is over, but don’t know what to do next. · Why Isn’t This Enough?, for women whose marriage and life from the outside looks picture-perfect, but inside feels empty and alone. 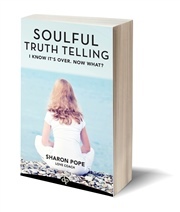 Sharon is also the author of the memoir, Life, Love, Lies & Lessons: A Journey through Truth to Find an Authentic Life. She has been published dozens of times in various online publications. She received her undergraduate education from Ohio University, and an MBA from Ashland University. Prior to coaching, Sharon was in corporate marketing for nearly twenty years. Sharon lives in downtown Columbus, Ohio, with the love of her life, best friend, husband, and spiritual partner, Derrick.